“Women Making History in Portland,” mural at N Interstate and N Harding Ave. Shafia Monroe, top right holding infant. 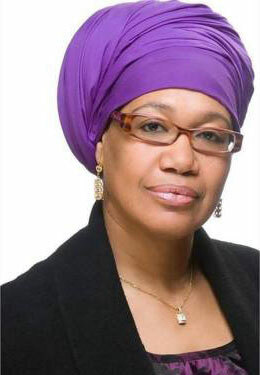 Shafia M. Monroe is a renowned midwife, a doula trainer, motivational speaker and a cultural competency trainer. Shafia has been “Birthing CHANGE,” all her life, and is a change agent. In 2012, Madame Noir, noted her “Queen Mother of a Midwife Movement,” because of her 1976 pioneer midwifery work in Boston, Massachusetts, her hometown. There she co-founded the Traditional Childbearing Group (TCBG) in 1978, a non-profit created to reduce the high infant mortality rate, in Black communities. In 2002, she created the ICTC Full Circle Doula Training program to train people in the legacy of the African American midwife, to renew traditions for better birth outcomes, community and to create the tapestry of diversity within the birth workers profession. This groundbreaking training program continues to serve as an international model for reducing infant mortality and increasing the number of midwives and doulas of color. Seeing economic injustice for low-income women, Shafia created and spearheaded the first legislative concept, Oregon HB 3311, to investigate the use of doulas to improve birth outcomes in vulnerable populations. Her work marked Oregon as the national model for Medicaid reimbursement for doulas and ICTC as the first Oregon Health Authority (OHA) approved doula-credentialing organization. Shafia holds a BA in sociology and Masters of Public Health, and has been certified as a midwife in by the Massachusetts Midwives Alliance, practicing as a home birth midwife since 1978. In 2014, she formed Shafia Monroe Consulting (SMC), to aid health care professional to achieve cultural competency, increase clients, and improve birth outcomes; and became the owner of Doula Ready LLC, a company that provide services to reduce perinatal stress for professional women, and reduce premature labor and improve birth outcomes. Shafia’s groundbreaking work is recognized with numerous awards including the 2016 Life Time Achievement Award for Human Rights in Childbirth, Life Time Achievement Service Award for Community Health, the Midwife Hero Award from American College of Nurse Midwives (ACNM) Midwives of Color Committee, Women Making History in Portland Mural by Robin Corbo, The Achievement Award – 4th Annual Muslim Women’s Conference, Certificate of Recognition for Preserving the Legacy of Midwifery – National Institute of Health (NIH), 2007, Proclamation from Georgia’s State Representative Mabel “Able” for her commitment to reducing infant mortality, Wall of Tolerance Certificate from the late Rosa Parks for her commitment to peace and justice, Martin Luther King Jr. Merit Award – The Skanner Foundation, Portland, OR, Outstanding Contributions – Massachusetts Department of Public Health – Boston, MA, The Haki Madhubuti/Family Tree Award – Urban Security Patrols, Boston, Outstanding Leadership – Coalition for Better Birth Outcomes, Women Who Care – Women in Philanthropy, Boston, Unsung Hero of Community Medicine – The Boston Institute for Social Therapy. Into These Hands, Wisdom from Midwives, It Just Ain’t Fair, by Annette Dula and Sara Goering, Granny Midwives and Black Women Writers, by Valerie Lee, Sisters on a Journey: Portraits of American Midwives, by Penfield Chester, Our Bodies, Ourselves: A Book by and For Women, by Boston Women’s Health Book Collective Magazine coverage: Essence magazine, Heart and Soul, Midwifery Today, World Pulse Magazine, Sojourner and Mothering magazines, and numerous college papers, and dissertations. 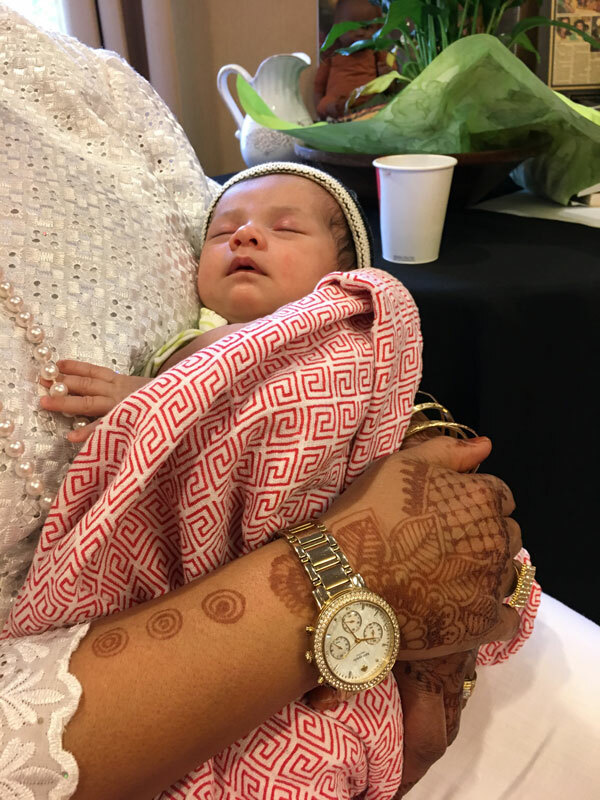 Shafia’s experience with thousands of families from all walks of life qualifies her as an expert in the field of working with diverse populations in maternal and child health, using cultural competency for respectful care. Shafia attributes her success to her southern traditional practices, cultural competency, and her commitment to birth and reproductive justice. In her spare time, Shafia enjoys cooking for family and friends, walking, dancing, gardening, writing, fishing and horseback riding. Shafia Monroe holds an infant during the postpartum portion of a Full Circle Doula training.